Please refer to our stock # 1011 when inquiring. Exquisite set of twelve handpainted service plates artist signed F. A. Bailey. 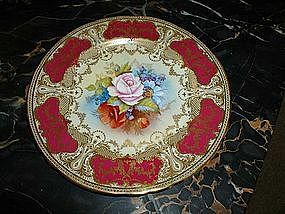 Each plate, made by Aynsley, measures 10 1/2" in diameter and is in perfect condition.